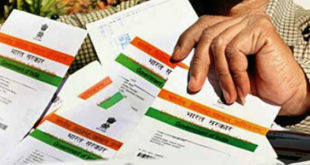 Home / India / Govt Documents / Aadhaar Card / How to reschedule Online Appointment for Aadhaar Card ? You might be looking to Reschedule Online Appointment for Aadhaar Card. Don’t worry in this article we will tell you how to reschedule appointment for Aadhaar Enrolment online? In our previous articles we have already discussed about how to fix online appointment for aadhaar enrolment and the Steps to change aadhaar card Name or Address. Currently, the Online service for booking, rescheduling and cancelling an appointment for Aadhaar Card is available for trial basis for select States/UT. These States are Andhra Pradesh, Bihar, Chandigarh, Delhi, Gujarat, Haryana, Himachal Pradesh, Jharkhand, Karnataka, Madhya Pradesh, Maharashtra, Punjab, Rajasthan , Telangana, Uttar Pradesh & Uttarakhand. On successful results from these states, these services can be available for other states as well. First of all you need to visit the Aadhaar Apointment Reschedule Page. Now you need to enter your Token ID which you got after fixing your aadhaar appointment. Also, enter the Mobile Number which you entered while booking your aadhaar card enrolment appointment. Click on Re-schedule to reschedule your aadhaar card enrolment appointment. Once you have filled up your Enrolment Centre and Location Details, you need to finally select the Date and Time of Appointment. Do enter the Verification Code as it appears above the box. Click on Fix Appointment to Finally Fix the appointment. As soon as you click on Fix Appointment, You will be able to see your Token ID, Centre Location details(With Address), Date and Time of Enrolment, No of Persons for whom appointment has been fixed, Contact person at the enrolment centre, Registrar Name & Enrolment Agency. You will also receive an SMS with all these details. You may also re-schedule/cancel your appointment. Do remember to carry Proof of Identity(POI), Proof of Address(POA) and Proof of DOB(DOB) while going at your enrolment centre. You can download and print the Pdf format of your Aadhaar Enrolment form and carry it along with you to save some time. Hope you liked to know how to reschedule an online appointment for Aadhaar Card Enrolment. You may leave your comments below if you have any queries. How to link your Aadhaar Card with SBI Bank Account ? 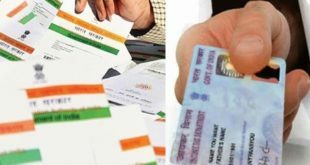 How to link Aadhaar Card to EPIC (Voter ID Card) ?